Following the Catalunya race weekend, 16 different Moto 2 riders tested two Dunlop tyres S2 and S4, having different compound composition that could be used for 2016 season. Currently Dunlop is the sole tyre supplier for Moto 2 and Moto 3 class. Tyres were tested on two racetacks – Barcelona and Aragon. Rubber compound in the test tyres were tested for its wider operating window, so that they can be versatile and deliver consistent performance. Most of the racers gave positive first impressions about the new tyre. The newly developed Dunlop tyres were also said to offer seemingly less wear. 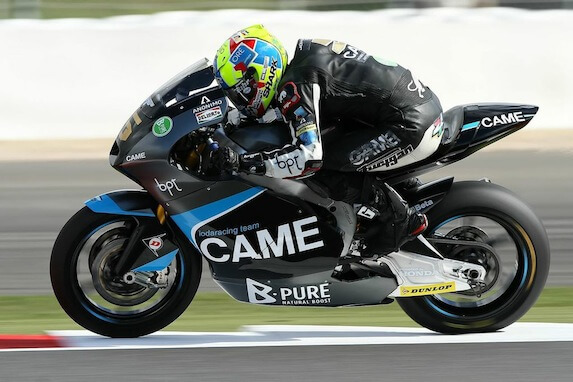 Johann Zarco, one of the Moto 2 riders tested the new compound tyre with lap times close to race pace. Zarco said: “The rain broke up the day a little, but we have drawn some very positive conclusions. In addition, although we tested different set-ups, we were able to ride almost as fast as in the race and the truth is that I felt more relaxed on the bike than before”.